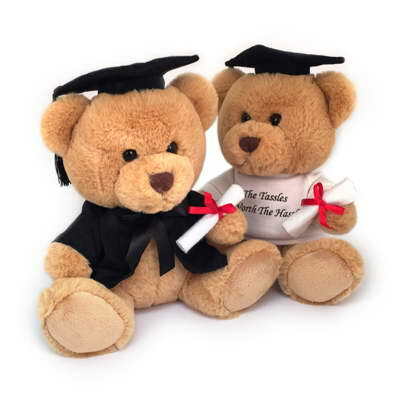 Calico Graduation Signature Bear – 25cm sitting down. 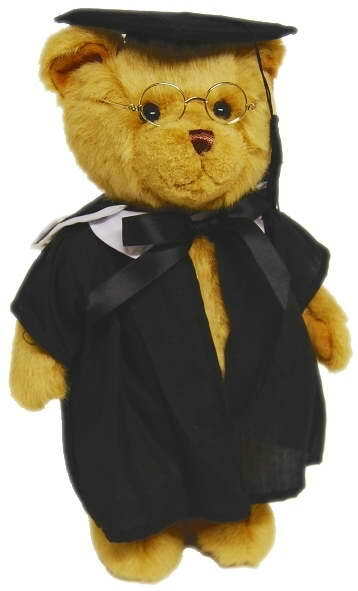 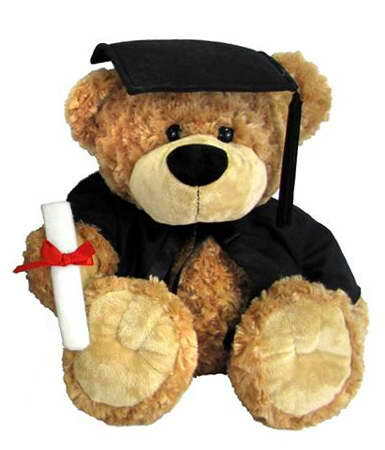 Our signature graduation bear sits at 25cm high and wears a graduation hat, jacket and a scroll of paper. 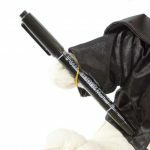 Includes pen. 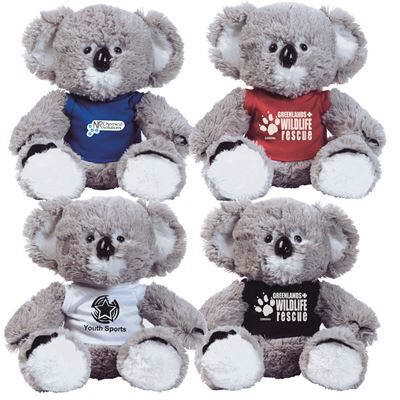 Can do special orders with printing for schools. 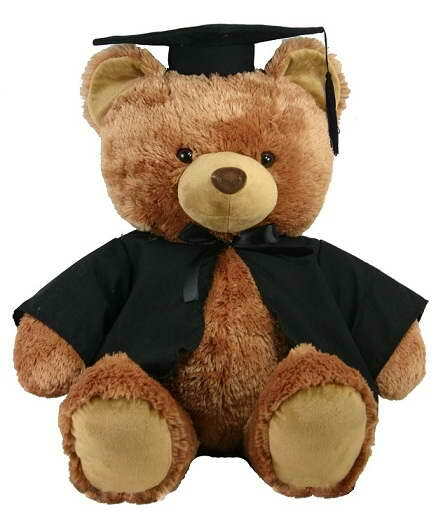 Can order hats and jackets separately. 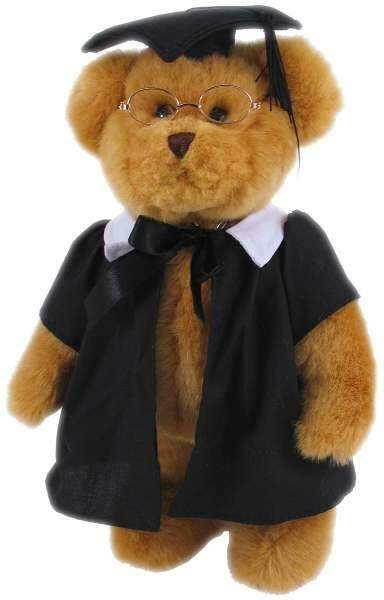 Materials used are calico for the bod and satin for the clothes.